About the closest thing to kimchi that Americans eat on a fairly regular basis is another fermented food, sauerkraut. If you are a kraut fan, there’s a good chance that you’ll love kimchi as well. It’s spicier, but the texture is very similar. You Want Me to Eat Bacteria? Well, most of the bacteria found in your “gut,” or gastrointestinal tract, is very good for your overall health. In fact, there’s a constant battle going on inside of your gut between good microbes, such as bacteria, and harmful ones. When you have the right balance of bacteria, your digestive system will typically work properly. But when the “bad guys” get the upper hand, that’s when you can run into problems such as diarrhea, irritable bowel syndrome and other issues. So loading your body with good bacteria is one way to fight the dangerous stuff. Why is Kimchi Good for You? 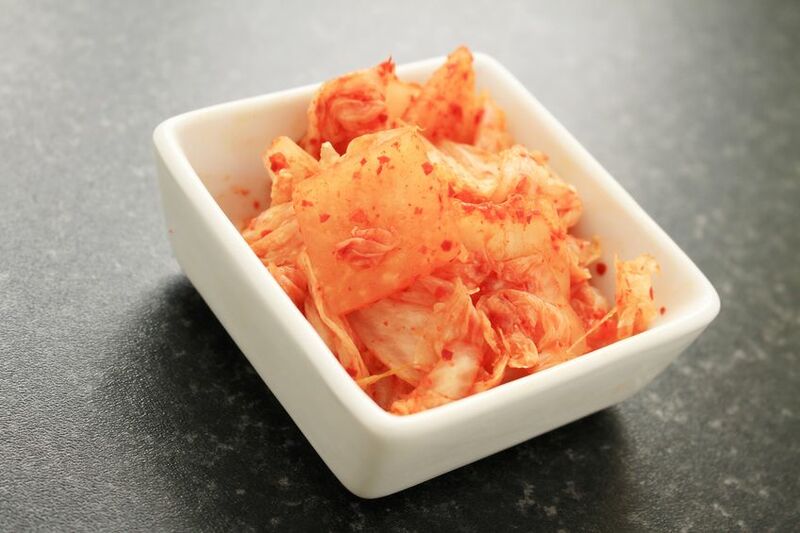 Kimchi has gained “superfood” status because it is known as a rich source of probiotics, or beneficial bacteria. This relatively humble, fermented mix of cabbage and other ingredients is now renowned for its probiotic benefits. And kimchi is also high in fiber. This means that kimchi helps to promote a feeling of satiety, or fullness. That means you won’t be as likely to stuff yourself at the dinner table, overdoing it to the point that you will be at risk of packing on the pounds. In addition, that fiber is considered prebiotic – meaning it’s the food your probiotics eat. So not only are you loading your system with probiotics, you’re feeding them too – all with one dish. The cabbage in kimchi also has antioxidant properties, which, as the name implies, helps the body fight the effects of oxidation.6 While oxidation is a natural, normal process, there are times where it can harm the body. It can, for example, start a chemical chain reaction that leads to the formation of free radicals, which are harmful molecules that can cause tissue and muscle damage. How Do You Prepare Kimchi? There are so many ways to prepare fermented kimchi, you’ll basically be limited only by your imagination. Not only can you make it using cabbage, garlic, and cucumbers, but also cayenne peppers, scallions, leeks, ginseng, and even mustard leaves. The most common way to serve kimchi is with rice, but if you want to be creative, you can bake it into pancakes. · First, cut your cabbage into quarters, take out the core, and cut into thin strips. · Put the cabbage into a large bowl, add the salt, and use your hands to mix. The cabbage will be ready when it softens, which could take a few minutes. · After you let the cabbage stand for an hour or two, wash it under water for five minutes or so. Put the cabbage back in the large bowl. · Then, mix the sugar, ginger, garlic and coconut aminos into a smaller bowl. Mix until you have a smooth paste. Pour the paste in the larger bowl with the cabbage/salt mix. · Add the scallions and radish into the large bowl as well, and then mix by hand. Pour everything into the jar, making sure you press firmly on the ingredients so that the brine covers the mixture thoroughly. · Close the lid tightly. Let the jar stand for 1-5 days. Leave it on your countertop, because the kimchi needs to be fermented at room temperature. · During this time, keep an eye on the kimchi, pressing down daily if necessary to make sure that the vegetables and other ingredients continue to be submerged in the brine. · After about three days, taste the kimchi. If you like the taste, it will be ready to serve. If not, let it sit for a few more days. · Once it’s ready, you can store it in your refrigerator for up to three months. Fermented kimchi can cause problems in people who have digestive issues, possibly increasing the chances of bloating and gas. If you want to see what this dish is all about because you want the benefits of its good bacteria, start slowly. Eat small amounts the first two or three times, to make sure your stomach can tolerate it. 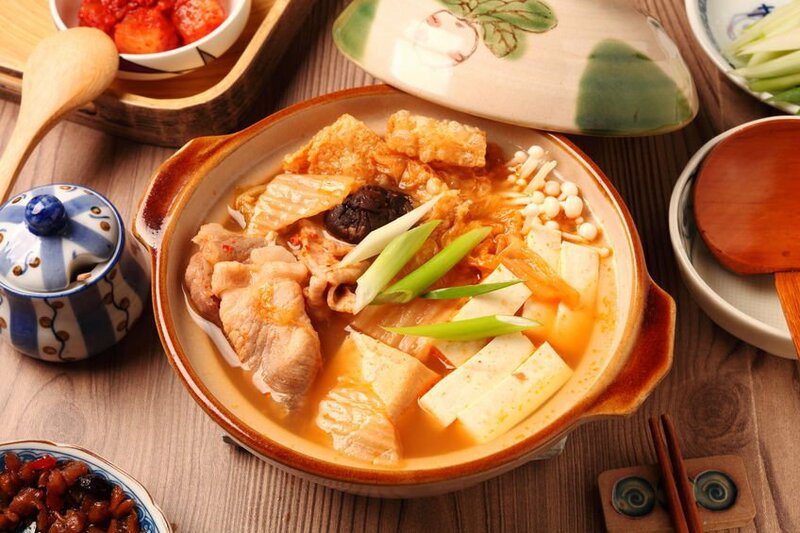 In addition, since kimchi typically contains a great deal of sauce when it’s fermented, people with high blood pressure should be careful because of the salt. There are, however, low-sodium recipes that should be safe for people with cardiovascular issues. As with any new food, including fermented food, talk to your doctor first before trying kimchi.